Panoramic ocean views from this spacious 3-story home including a lower level apartment with its own kitchen, bath & laundry. Easy beach access is less than 1 block from your front door. 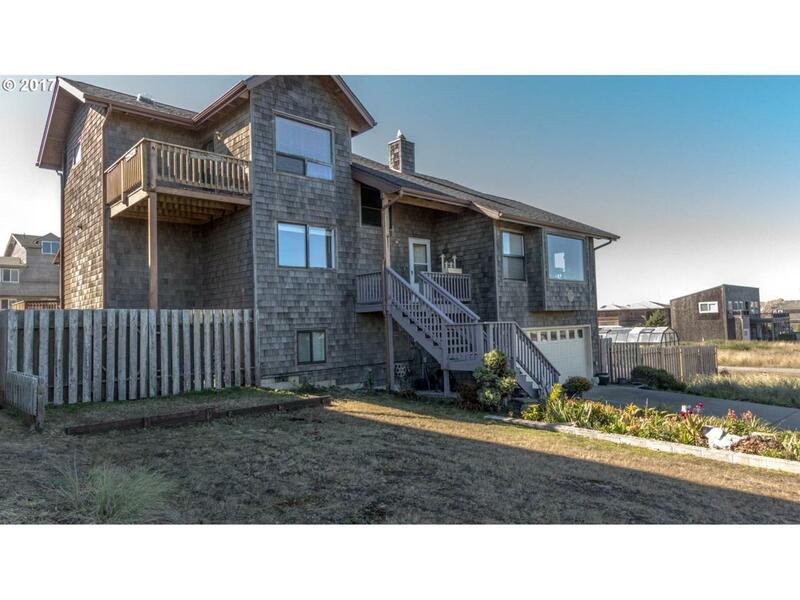 This home features three balconies and has a new roof, kitchen and bath remodels, updated landscaping incl flower beds and greenhouse, new ductless heat pump, garage door & more. Cozy up to the wood burning fireplace, whale watch & enjoy the sunsets! Listing provided courtesy of Beach Loop Realty.